Last edited by KarateEd on Fri Aug 03, 2018 5:30 pm, edited 2 times in total. Last edited by FourthStone on Mon Jul 30, 2018 8:25 am, edited 1 time in total. I remember this. 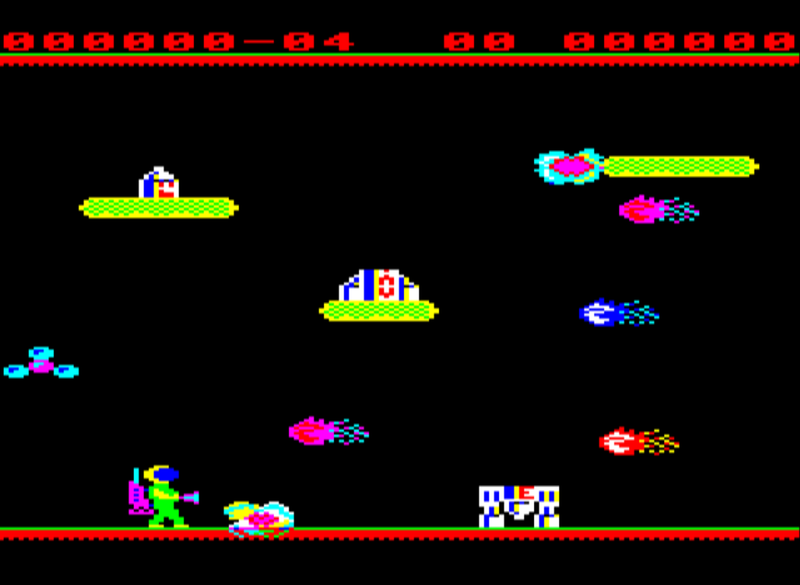 Nice graphics but crazy game! Last edited by barbarossa69 on Mon Jul 30, 2018 1:45 pm, edited 1 time in total. Oh wow, this thing is twitchy as! 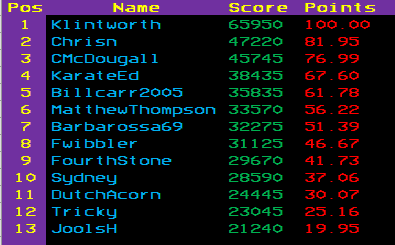 Best score so far, great little game, although no-one remembers the BBC version, always go on about it on the Speccy. Last edited by KarateEd on Wed Aug 01, 2018 3:14 am, edited 1 time in total. Last edited by KarateEd on Wed Aug 01, 2018 4:36 am, edited 1 time in total. I had a quick go but realised I either need to remap keys like others have done, or use a real machine. 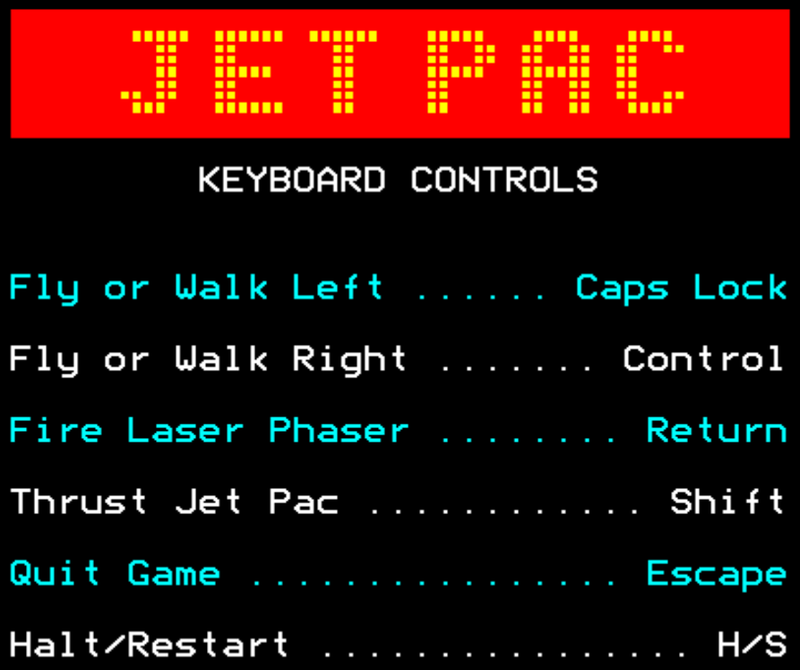 Beeb-Em has an options menu item to remap Caps & Control to A & S... very handy specifically for this game. still got my original tape! Last edited by billcarr2005 on Fri Aug 03, 2018 8:40 am, edited 1 time in total. Really struggling. Can't get past level 3 at all. Didn't quite get past Level 3 but getting pretty good at maximizing each level, hardly ever miss a bonus item. Slight improvement but still below top scores... playing without sound is interesting as the take off status is easily unnoticed. First time - got to get some serious practice in! Cracking game tho'! Last edited by klintworth on Sat Aug 04, 2018 4:20 am, edited 1 time in total.